The new corporate mantra has become Bring Your Own Device (BYOD) that encourages employees to use their own smartphones and tablets at work. Businesses are incorporating this strategy into the workplace so staff members can use devices they’re already comfortable with, rather than having to learn how to use company-assigned devices. Employees have welcomed this idea because it’s extremely flexible and practical; however it’s resulted in some challenges that need to be addressed. The biggest have been to ensure that proper work/life boundaries are maintained, and that these devices work securely in both work and home environments. It’s essential that work-related data remain secure and manageable by the company, while employee’s personal information remains private and safe. Many smartphone companies have become more serious about the BYOD trend and have made it their mission to provide solutions specific to these enterprises. While Samsung isn’t typically the first name that comes to mind when you think about the mobile market, they’ve designed the Samsung KNOX. The KNOX is specifically designed for BYOD users and provides a solution that transfers seamlessly between work and personal life. Samsung states that KNOX’s all-inclusive work and play solution for business mobility is essential because it addresses the security needs for enterprise IT without invading the privacy of employees. The Alliance Manager for Samsung Canada’s Business Solution Group, Steve Cull, says “KNOX provides VPN (Virtual Private Networks) encryption and support for at least 300 IT policies relating to mobile device management.” Cull also mentioned that KNOX will have its own application store that provides tested products designed specifically for business usage. This will allow corporations to manage their data and lockdown any sensitive areas, while also allowing users to check for malware or viruses. The idea is to have two ‘personas’ coexisting on the same device—a corporate one that is secure and closely managed, and a personal one that is completely controlled by the user, without interference from the company. In the event of someone leaving their job, KNOX can remove all the information in the corporate persona, leaving the user with their personal data intact and remaining on the device. KNOX will be available in the upcoming Samsung smartphones. Blackberry has always been synonymous with government applications and secure enterprise. It’s often the main choice for business users who desire a closed and secure mobile network. The BlackBerry 10 OS was recently released with a focus on consumers and businesses. 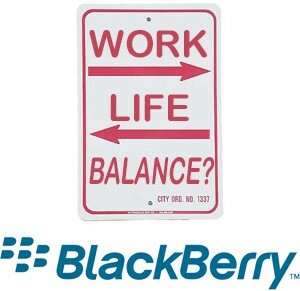 Their new BYOD solution is named BlackBerry Balance. With Balance, the smartphone will detect what information is personal, and what belongs in the work ecosystem. Users are prevented from cutting text from work emails and pasting it into personal emails, and vice-versa. This means that the user can easily shift between work-related and personal apps, with the added knowledge that their device knows what belongs where. With the BlackBerry Balance, it’s simple for companies to delete or encrypt all corporate data if the employee ever leaves their position. In conclusion, BYOD in the enterprise world is now safe, transparent and reliable for all employees and companies with solutions such as Samsung’s KNOX and the BlackBerry Balance.